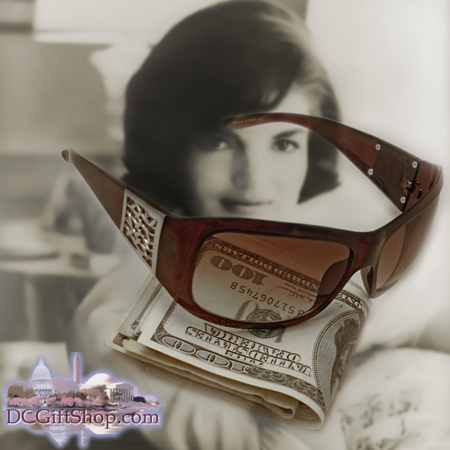 Style like Jackie O. in these sunglasses faithfully reproduced after the exact model she was famous for wearing. Who was Jackie O. you ask? Jacqueline "Jackie" Lee Bouvier Kennedy Onassis (July 28, 1929 � May 19, 1994) was the wife of the 35th president of the United States, John F. Kennedy, and served as First Lady during his presidency from 1961 until his assassination in 1963. She was later married to Greek shipping magnate Aristotle Onassis from 1968 until his death in 1975. In later years she had a successful career as a book editor. She is remembered for her style and elegance.